In Systems Biology, modelers develop more and more reaction-based models to describe the mechanistic biochemical reactions underlying cell processes. They may also work, however, with a simpler formalism of influence graphs, to merely describe the positive and negative influences between molecular species. 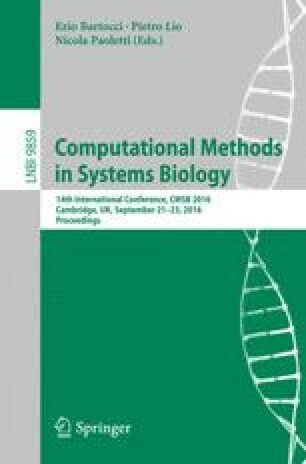 The first approach is promoted by reaction model exchange formats such as SBML, and tools like CellDesigner, while the second is supported by other tools that have been historically developed to reason about boolean gene regulatory networks. In practice, modelers often reason with both kinds of formalisms, and may find an influence model useful in the process of building a reaction model. In this paper, we introduce a formalism of influence systems with forces, and put it in parallel with reaction systems with kinetics, in order to develop a similar hierarchy of boolean, discrete, stochastic and differential semantics. We show that the expressive power of influence systems is the same as that of reaction systems under the differential semantics, but weaker under the other interpretations, in the sense that some discrete behaviours of reaction systems cannot be expressed by influence systems. This approach leads us to consider a positive boolean semantics which we compare to the asynchronous semantics of gene regulatory networks à la Thomas. We study the monotonicity properties of the positive boolean semantics and derive from them an efficient algorithm to compute attractors. We are grateful to Paul Ruet for interesting discussions on Thomas’s framework, and to the reviewers for their comments. This work was partially supported by ANR project Hyclock under contract ANR-14-CE09-0011, and PASPA-DGAPA-UNAM, Conacyt grants 221341 and 261225.